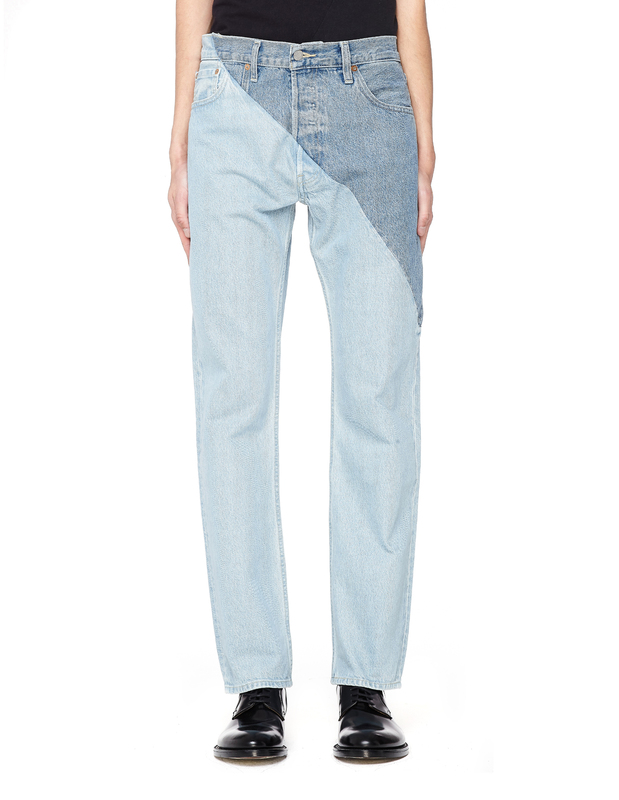 Reworked jeans from the spring-summer collection of Vetements x Levi’s. 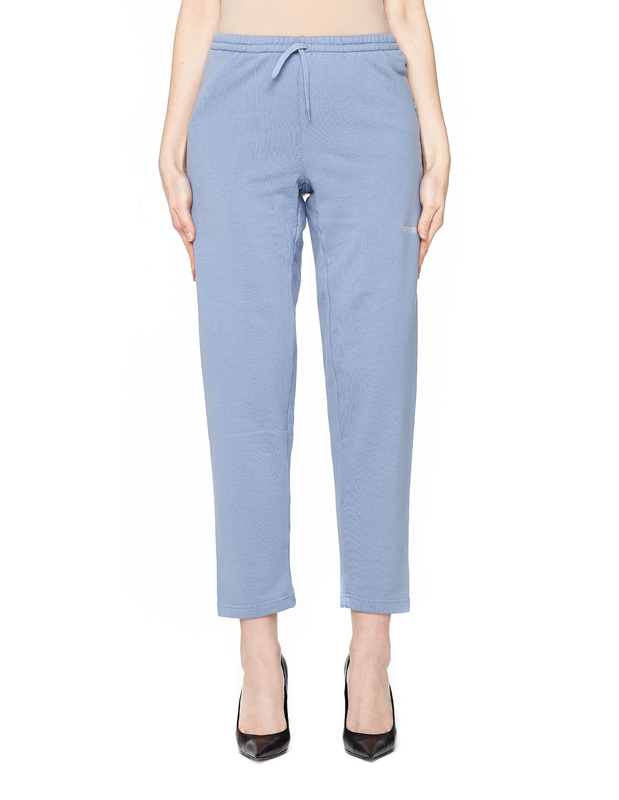 This style is based on two pairs of classic 501 regular-fit jeans made of cotton denim. Finished with a button fly closure and five pockets. 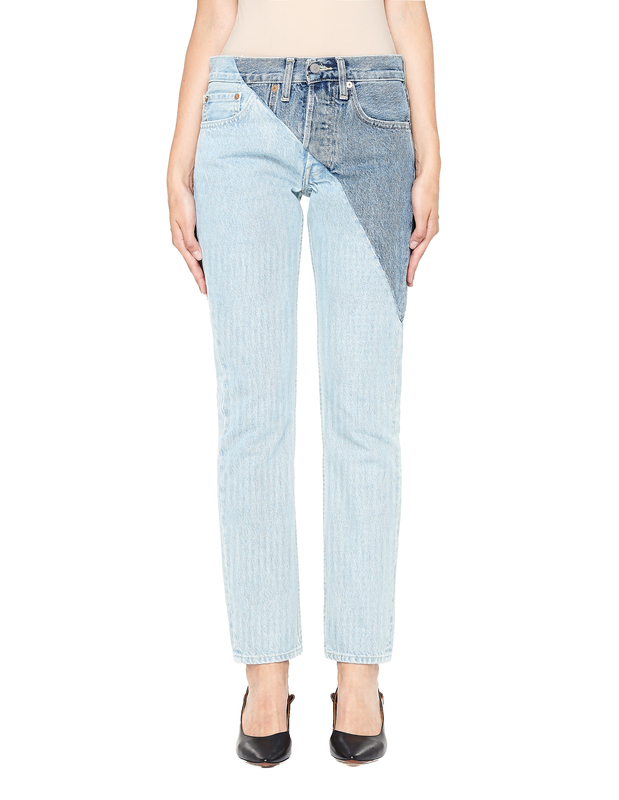 Wear these jeans with <a href="https://svmoscow.ru/men/category/t-shirts?type_104077=1">t-shirts</a> and <a href="https://svmoscow.ru/men/category/footwear?type_104071=1">boots</a> or <a href="https://svmoscow.ru/men/category/footwear?type_104002=1">sneakers</a>.